What’s next for Zombies, Run! 2? – Zombies, Run! What’s next for Zombies, Run! 2? Since the launch of Zombies, Run! 2, we at Six to Start have continued to work hard on the game. We’re producing bug fixes, feature updates and more for not only the iOS and Android versions of the game, but ZombieLink too. To start off, we’ve released ZombieLink Mission pages today. This is a huge update to ZombieLink, which allows you to track which missions you’ve completed and view detailed information for each one. 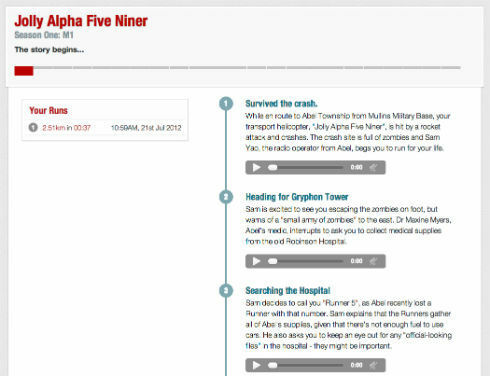 On each mission page you’ll not only see your related run logs and a description of each individual story clip, but you’ll be able to listen back to them, too. And by default, we’re hiding spoilers so you won’t see details from missions you haven’t played. We’re really pleased to deliver such a regularly requested feature. Be aware, though – you can only hear clips from missions you’ve previously completed. We’ve also released an update for the Android version of Zombies, Run! 2 today. This includes a bunch of bug fixes, as well as the highly anticipated re-introduction of Radio Mode. So if you’ve already rushed through all the story missions and sidequests which have been released so far, you can jump straight to Radio Mode on your next run. 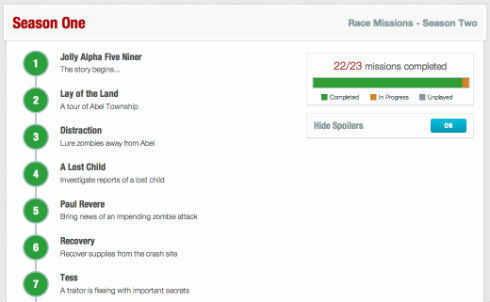 Next on the list are Race Missions, which we’ll be adding to the Android version of the game as soon as we can. We’re not going to run out of new stuff to add to either the iOS or Android versions of Zombies, Run! 2 anytime soon. As well as bug fixes and tweaks, we’ve got plans to improve the base builder even further, plus some other secret stuff which we can’t discuss quite yet. We’ll also be adding supply missions and the codex back to the game, so look out for all that in the coming months! Previous Post The first Zombies, Run! 2 mission pack is out now! Next Post Collecting materials in Zombies, Run!